Mechanics is one of the oldest research fields in natural science. Recent significant progress of numerical ability of computers makes it possible to explore non-linear mechanics of solid materials. We investigate deformation behavior of solid materials with the aim of further development of mechanics. a. Development of constitutive models for metallic materials based on experimental observation. b. Prediction and evaluation of macroscopic deformation behavior and/or microstructure development by finite element methods with the developed constitutive models. T. Mayama, M. Tane, Y. Tadano, Superior energy absorption in porous magnesium: Contribution of texture development triggered by intra-granular misorientations, Acta Materialia Vol.165 (2019), pp.62-72. Y. Kawano, T. Ohashi, T. Mayama, R. Kondou, Crystal Plasticity Analysis of Change in Incompatibility and Activities of Slip Systems in α-phase of Ti alloy under Cyclic Loading, International Journal of Mechanical Sciences Vols.146-147 (2018), pp.475-485. D. Kishi, T. Mayama, Y. Mine, K. Takashima, Crystallographic study of plasticity and grain boundary separation in FeCo alloy using small single- and bi-crystalline specimens, Scripta Materialia Vol.142 (2018), pp.1-5. Y. Mine, R. Maezono, T. Mayama, J. Wu, Y. L. Chiu, P. Bowen, K. Takashima, Plasticity and crack extension in single-crystalline long-period stacking ordered structures of Mg85Zn6Y9 alloy under micro-bending, Journal of Alloys and Compounds Vol.718 (2017), pp.433-442. S. Ogata, T. Mayama, Y. Mine, K. Takashima, Effect of microstructural evolution on deformation behaviour of pre-strained dual-phase steel, Materials Science and Engineering A Vol.689 (2017), pp.353-365. K. Kwak, T. Mayama, Y. Mine, K. Takashima, Anisotropy of strength and plasticity in lath martensite steel, Materials Science and Engineering A Vol.674 (2016), pp.104-116. K. Shiraishi, T. Mayama, M. Yamasaki, Y. Kawamura, Strain-hardening behavior and microstructure development in polycrystalline as-cast Mg-Zn-Y alloys with LPSO phase subjected to cyclic loading, Materials Science and Engineering A Vol.672 (2016), pp.49-58. K. Hagihara, T. Mayama, M. Honnami, M. Yamasaki, H. Izuno, T. Okamoto, T. Ohashi, T. Nakano, Y. Kawamura, Orientation dependence of the deformation kink band formation behavior in Zn single crystal, International Journal of Plasticity Vol.77 (2016), pp.174-191. T.Mayama, T.Ohashi, Y.Tadano, K.Hagihara, Crystal plasticity analysis of development of intragranular misorientations due to kinking in HCP single crystals subjected to uniaxial compressive loading, Materials Transactions Vol.56 (2015), pp.963-972. M.Tane, T.Mayama, A.Oda, H.Nakajima, Effect of crystallographic texture on mechanical properties in porous magnesium with oriented cylindrical pores, Acta Materialia Vol.84 (2015), pp.80-94. H.Kitahara, T.Mayama, K.Okumura, Y.Tadano, M.Tsushida, S.Ando, Anisotropic deformation induced by spherical indentation of pure Mg single crystals, Acta Materialia Vol.78 (2014), pp.290-300. T.Mayama, M.Noda, R.Chiba, M. Kuroda, Crystal plasticity analysis of texture development in magnesium alloy during extrusion, International Journal of Plasticity Vol.27 (2011) pp.1916-1935. T.Mayama, T.Ohashi, R.Kondou, Geometrically necessary dislocation structure organization in FCC bicrystal subjected to cyclic plasticity, International Journal of Plasticity Vol.25 (2009) pp.2122-2140. T.Mayama, K.Aizawa, Y.Tadano, M.Kuroda, Influence of twinning deformation and lattice rotation on strength differential effect in polycrystalline pure magnesium with rolling texture, Computational Materials Science Vol.47 (2009) pp.448-455. 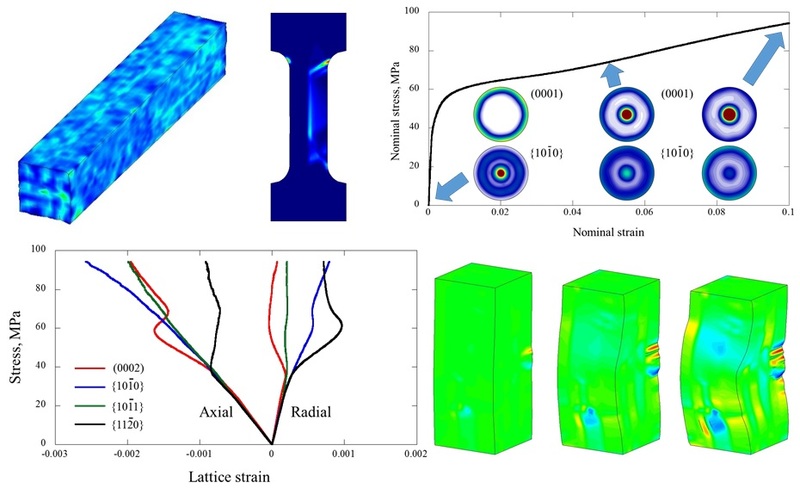 T.Mayama, K.Sasaki, M.Kuroda, Quantitative evaluations for strain amplitude dependent organization of dislocation structures due to cyclic plasticity in austenitic stainless steel 316L, Acta Materialia Vol.56 (2008) pp.2735-2743. T.Mayama, K.Sasaki, H.Ishikawa, A Constitutive Model for Cyclic Viscoplasticity Considering Changes in Subsequent Viscoplastic Deformation due to the Evolution of Dislocation Structures, International Journal of Plasticity Vol.23 (2007) pp.915-930. T.Mayama; K.Sasaki, Investigation of subsequent viscoplastic deformation of austenitic stainless steel subjected to cyclic preloading, International Journal of Plasticity Vol.22 (2006) pp.374-390.